What is a student support program? 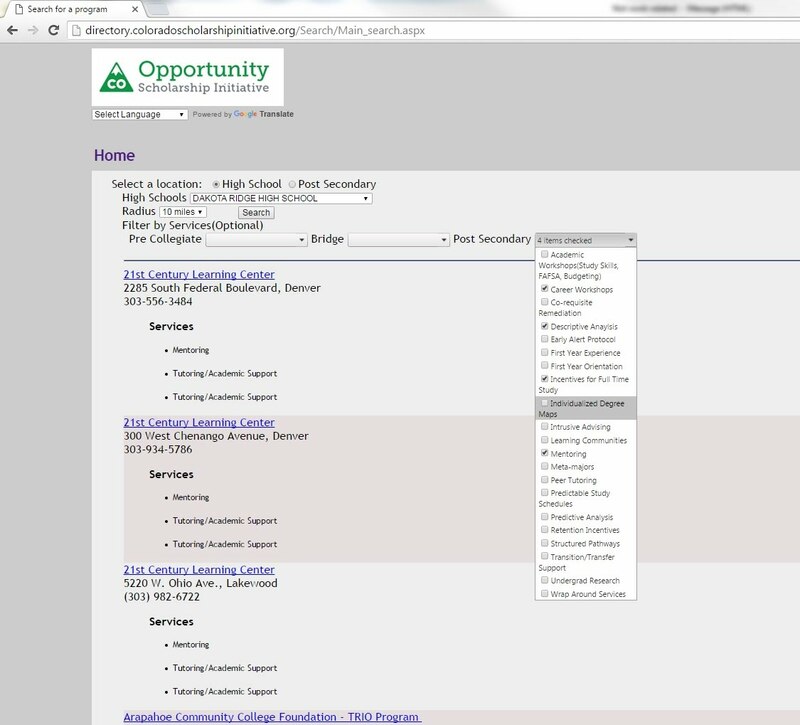 Visit our Student Support Program Directory to learn more about programs in your area. While we have tried to include all programs throughout the state, we may have unintentionally missed some. This list is not a complete list of programs across the state. If you would like to have your student serving program added please email kate.berg@dhe.state.co.us. Student support programs are those that ensure that students will have the necessary resources to make informed decisions, be prepared to begin and complete higher education, and be equipped to enter employment. Though they vary in scope, most programs ensure that students not only get to college, but also that they have the tools and support they will need to get through college and participate in the workforce. Student support programs are crucial to improving outcomes for students, and strengthening Colorado’s talent pool. Programs involved at the middle school and high school levels begin working to prepare students for their post-secondary options. For example, programs preparing students to enter college might help with the college application process or FAFSA. Programs involved at the college level provide additional support such as counseling to ensure that students persist and are able to attain a credential. How can we align current resources to make certain all students have postsecondary guidance? In concert with the CDHE research and data team and College In Colorado, the Scholarship Initiative has developed a Student Success Program and Scholarship Database to increase awareness and best practices. Through this dynamic database, partners and stakeholders are able to contribute information and assess areas of need in Colorado’s scholarship, student success and career pathway network. Access the directory. The Colorado Opportunity Scholarship Initiative is a program of the Colorado Department of Higher Education.